Jessica Barraza Johnson has grown up dancing right here along the Wasatch Front. For the last twenty years, Jessica has studied ballet with local professionals, nationally recognized choreographers, and acclaimed instructors. While attending Weber State University, she began performing and teaching at Imagine Ballet Theatre as she earned her degree in English with a Professional & Technical Writing Emphasis and Zoology and Spanish minors. After college, she worked with various non-profits, writing and editing in laboratory and hospital medicine, and marketing and public relations work, all while simultaneously teaching and dancing. ​She has performed soloist roles in The Nutcracker, Alice: Adventures in Wonderland, The Secret Garden, and many others. 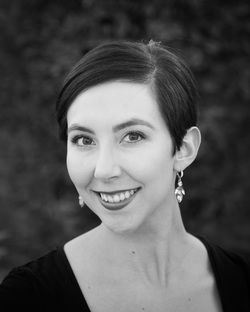 Jessica has taught throughout the state from Sandy to Logan in workshops, men’s classes, summer intensives, Master Classes, and more, and loves sharing her knowledge of and passion for ballet with growing dancers.